Looking for a Way to Bring your Family Closer Together? It’s unlikely that your child can attend a health club with you. And you would probably feel a little out of place if you joined in with your son or daughter’s soccer team. 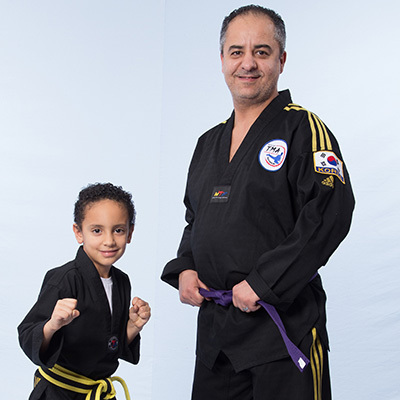 Yet at Tae Kwon Do, every age of family member can train together side by side. This is a great chance to gain respect for each family member’s abilities and an opportunity to learn from one another. As a parent, you will also be setting an invaluable example for your child about the importance of regular exercise. 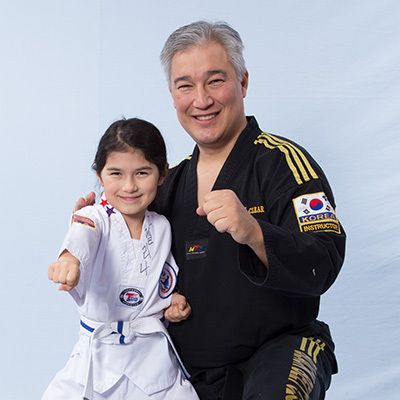 In addition, Tae Kwon Do combines the best of several forms of physical training. Stretching and calisthenics will improve your flexibility and balance. Kicking drills and partner work will improve your endurance and timing and the different forms and curriculum requirements will improve your strength and muscle tone. Best of all, no two classes are alike. You and your children will appreciate the varied, high-energy workouts and be motivated to attend lessons regularly. The pursuit of Bla ck Belt excellence is a worthwhile goal that will bring your family closer together. he chance to assist, coach and cheer one another on through the different requirements. You will also share the pride of seeing each family member advance and move on to a new belt. It is something that the entire family will be proud of! Tae Kwon Do is based on the principles of courtesy, respect, and cooperation. Parents find that as a result of taking Tae Kwon Do, children are more well-mannered and behave better at home. They also tend to get along better with their siblings and treat household chores more responsibly. 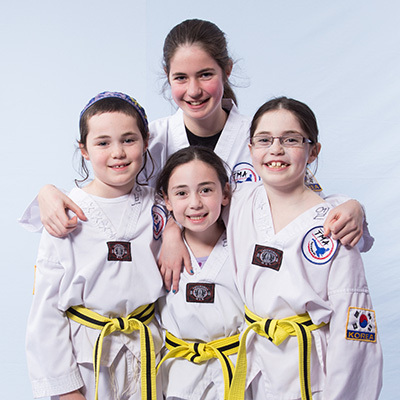 The Tae Kwon Do school is a great place to meet other positive people and good role models! As a parent, I’m sure you are always aware of the places your child goes and the people that surround them. it comes to yourself, I’m sure you’ve always realized that the quality of people in your life often determines the quality of your life. 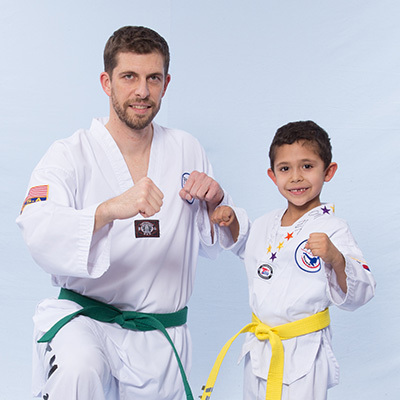 At Master Yoo’s World Class Tae Kwon Do, you can be confident that you and your family will be developing relationships with sin cere, motivated, healthy families dedicated to self- improvement. tournament, parties, and holiday get togethers. It’s our goal to make our Tae Kwon Do school a valuable resource for your family, providing a place to exercise, socialize, and network.